Eau Claire is home to many talented acts, most musical, some artistic, but one is fiery and will leave you at the edge of your seat. The Torch Sisters are a spectacular local fire, hooping and acrobatics act, that is local to the Eau Claire area. 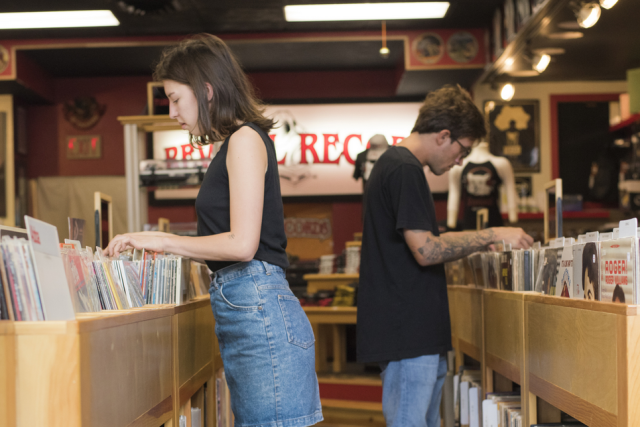 Here are a few things you might not have known about this awesome local act. 1. The group actually started as a few of the founding members partaking and performing in fire spinning events around hooping events in the area. These would take place after music in the park. The Torch Sisters have moved from small performances to bigger and grander stages. 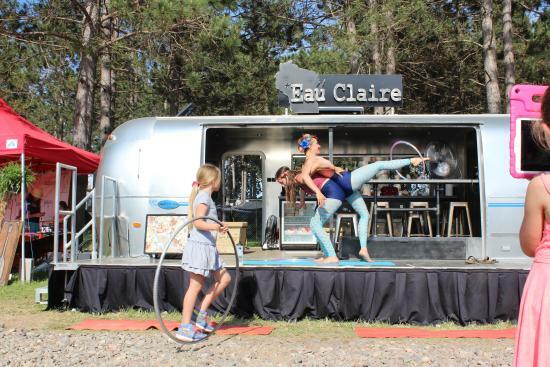 You might have seen them at past Eau Claire events! 2. They have been performing in the Eau Claire area for 3+ years now! Newer members and newer acts are always being added, so make sure to check out an upcoming show if you haven&apos;t seen one recently! I guarantee it won&apos;t be the same as the last. 3. They are currently planning their own first solo show to take on tour. 4. Their biggest show every year is Fireball at the University of Wisconsin-Eau Claire! The members astound the pre-show on the main stage. Then the Fireball drag show takes full stage, but don&apos;t worry! The Torch Sisters come back for the after party and they take their performing to the air this time. Check out Fireball at the University of Wisconsin-Eau Claire for two great shows in one. This year it will be hosted on February 23-24, 2018 in the Ojibwa Grand Ballroom. 5. 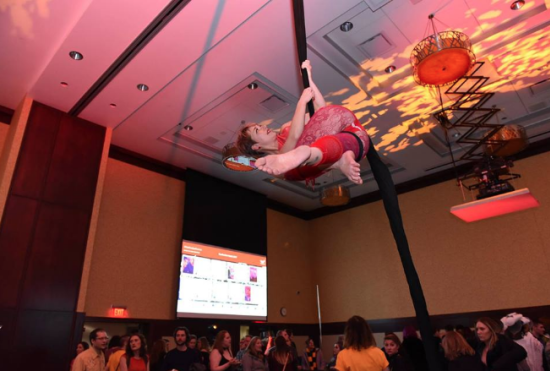 Members Michelle Anthony and Rachel Duffenbach are even working on opening an aerial studio for the Eau Claire area! This studio, according to the troupe, would spread love and empowerment of the aerial arts. They also mention that Moonrise Aerials is having their open house on September 23rd from 5:30 to 7:30 for those who are looking to see what makes up a Torch Sisters performance. So next time you are looking for a new show to see in the Eau Claire Area, remember to watch for the Torch Sisters. You&apos;re sure to be in for a mystical treat!